My elegant wedding photography captures all the special moments unobtrusively. So you can relive your day over and over. - Do you want natural, emotional and elegant wedding photography? - Gentle direction given throughout the day so you look your best? - Candid documentary style photos of guests enjoying themselves without the camera in their face? - Someone with years of experience from helping with wedding day timelines to pinning on a boutonniere? - A relaxed and easy-going photographer who blends seamlessly into the background? I believe that wedding photography isn’t about having a record or ticking off the requisite boxes. It’s about investing in capturing and sharing the memories of that day in a way that brings it back to you and your loved ones again and again. It’s an investment in your memories together. My collections start from €1969, this includes coverage from morning to dinner, a bespoke wedding album and high resolution digital images. Please contact me to get full pricing information and check availability. "You were such a joy to work with and really captured the vibe of the day. Thank you so much, I’m beyond thrilled we chose you as our wedding photographer"
- Your photos will be preserved forever in a beautiful tangible album. Not forgotten about in a drawer on a USB key. - Its an heirloom you can pass down through generations. We all still have our grandparents albums, its a legacy. - Technology changes so quickly, that USB you have may be obsolite in a few years, just look at DVDs. - Theres nothing quite like seeing your photos professionally printed. 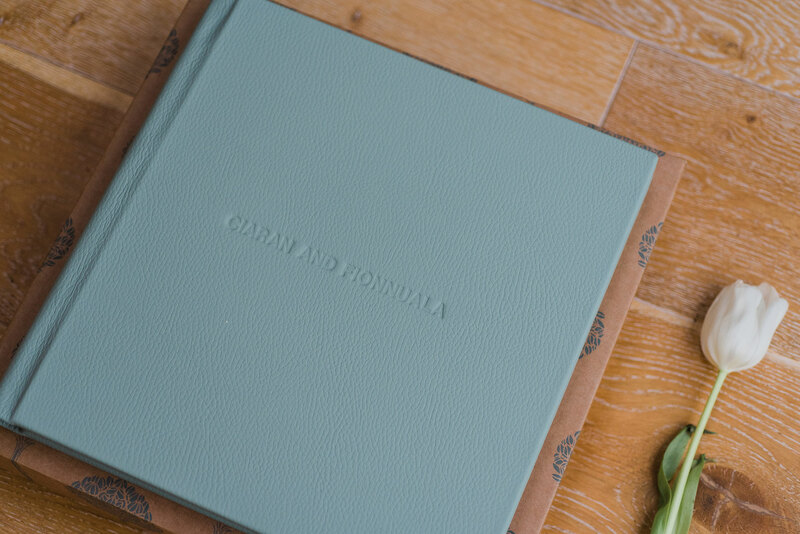 Professional albums are beautifully made and printed with archival inks and paper for maximum imact. - Life gets in the way, so many couples have great intentions of taking their digital photos and making their own photo book, but so often it just never happens. Let your photographer do the work for you and design a beautiful professionally laid out album where all you have to do is click “Approved”. "You captured so many unreal moments of the day of ourselves, our family, our two baby girls and our friends. 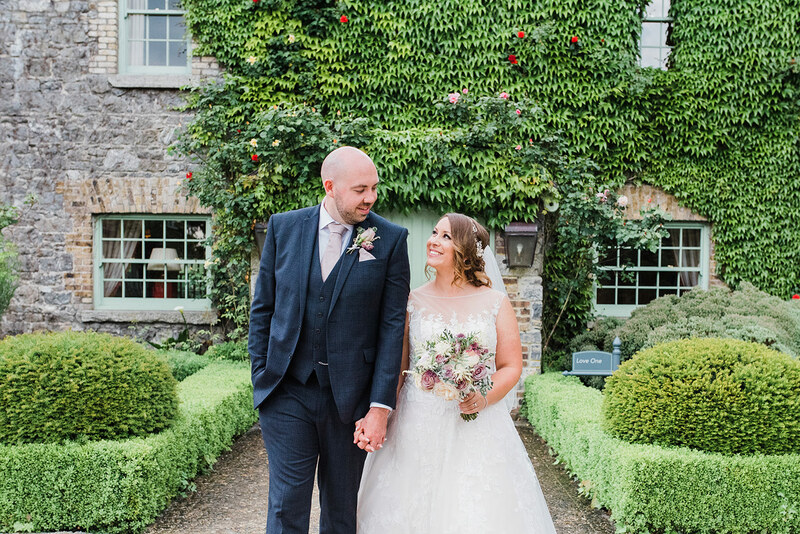 I will never be able to thank you enough Kathy for just how fabuous you were before our wedding day and after." Are you fully insured and registered? Absolutely! I am completely covered with liability and equipment insurance. I am also a fully registered business with the Companies Registration Office. Do you bring a second shooter with you? You have the option to book a second shooter for your wedding day. I particularly recommended it if it's a big wedding with 250+ guests as it means there's an extra pair of hands and they can focus on the guests while I focus on the bride and groom. All the chosen photos will be edited to my style, this includes tone and colour correction, exposure adjustments, cropping and straightening. Small blemishes or marks can be removed but advanced or more in depth retouching (such as body manipulation) will cost extra. How many images do you expect to provide after the wedding? Every wedding is a little bit different but on average its usually between 400-500 images. What happens after the wedding? When will our pictures be ready? Once your wedding is completed I will begin editing your pictures. This usually takes between 4-6 weeks, occasionally if I’m busy it can take a bit longer. But don’t worry, I will always let you know if this is the case! My primary style would be natural, emotional and elegant photography. I will offer gentle direction throughout the day and some posing will occur for formal family photos but by and large I prefer to keep everything very natural and photojournalistic. Yes, I will. This will cover bride and groom details, contact numbers, locations, addresses, model release forms and will fully detail what both parties can expect from each other.